roofing installation, repair and maintenance. 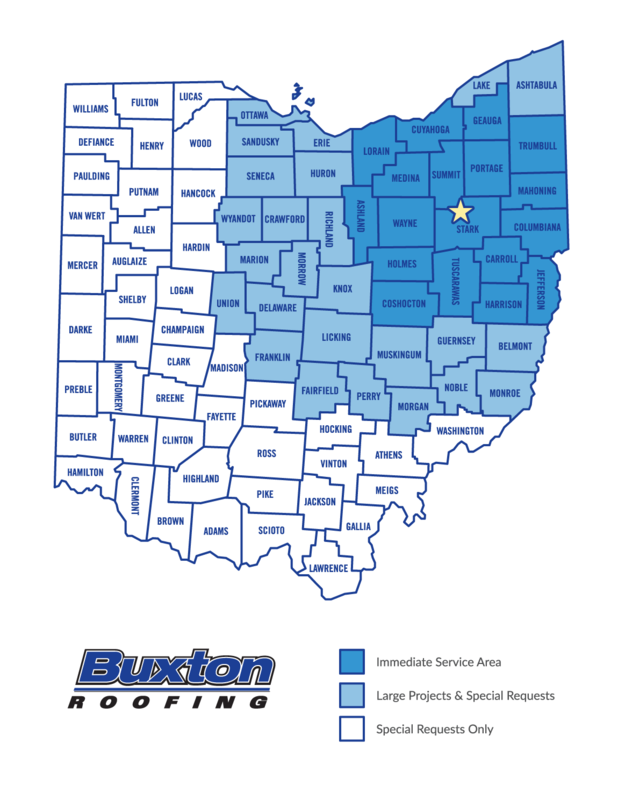 Located in northeast Ohio, we serve the entire surrounding region as a quality commercial and residential roofing company, including Canton, Akron, Stow, Hudson, Twinsburg, Medina, Cleveland, Bolivar, Cuyahoga Falls, Wadsworth, and more. We're always seeking hard workers to join our bustling and growing team. Read more to find out why roofers enjoy working for Buxton Roofing.